We help tens of thousands of travellers each year find their travel vaccine solutions. Our Nurse Practitioners will give you peace of mind - we will help you understand travel medicine. We will walk your through your destination and all preventative measures and vaccines that should be taken to avoid illness while on your trip. Travel to high risk areas outside Canada may expose you to a variety of diseases and medical conditions not commonly present in Canada. International travel is growing in popularity each year, with an estimate of more than 1 million internationals travellers per day. It is more important than ever to learn more about your destination specific risks and travel vaccines and medications that will allow you to see the world, safely. Travel Medicine is a branch of medicine specializing in diseases and conditions that may travellers may come into contact with during travel to international destinations. When visiting a different country, travellers should be aware of the potential for contracting diseases which are not common in Canada. Travel Health Consultations help you understand Immunizations, preventative medications, and general precautions should be considered prior to trips to different parts of the world. *Other critical vaccines may be recommended or required for travellers, based upon destination & current outbreaks. 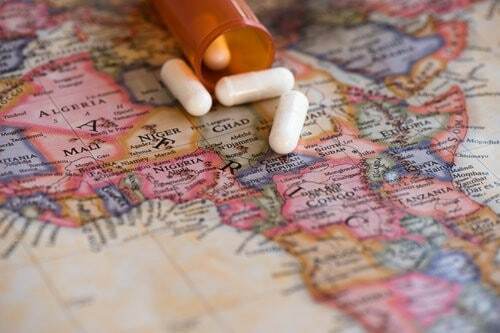 Preventative medications against traveler’s diarrhea, malaria, altitude sickness, and other illness may be necessary. Precautions regarding food, beverages, weather, insect bites, and personal hygiene are important while traveling. Patients with underlying medical diseases, such as kidney disease and diabetes, may need special arrangements in order to travel safely. To ensure a safe and healthy trip, travellers should take the time to educate themselves on the potential risks and what preventative steps can be taken to minimize such exposure. A comprehensive risk assessment for each individual traveller is essential in order to accurately evaluate the traveller, the itinerary, and any destination-specific risks. Vaccinations may be required for travellers. We will personalize our recommendations based on the individual’s immunization history, destination itinerary, and the amount of time before departure.